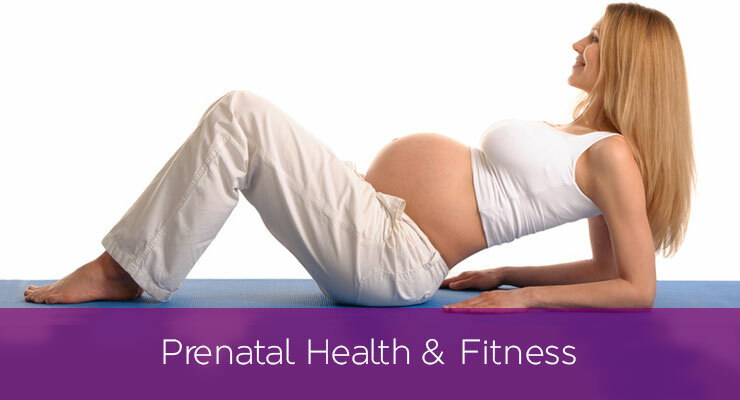 Prenatal health and fitness is a relatively young field of study. In fact, the first published studies on the effect of maternal health from exercise were performed in the 1980s. This means that before then, many women were encouraged to take it really easy, or even stop exercising throughout the duration of their pregnancies. My philosophy is completely different from the days of old. As a mother of two, I know that labor and delivery can be one of the most challenging athletic events in life, and we must prepare ourselves to rise to the challenge. During pregnancy, our blood volume increases significantly, and it is common to feel like you are huffing and puffing up event the shortest flight of stairs. The reason for this is because in addition to added weight, the cardiovascular system has more work. As a prenatal yoga teacher, I encourage the pregnant goddesses (yes, I love to call expectant moms that), to follow a few basic guidelines in order to feel strong and empowered throughout pregnancy, and beyond. 1.) Breathe slowly and deeply. The pregnant body requires more oxygen for mama and baby. 2.) Hydrate properly with clean, healthy sources of alkaline water. I like Essentia Water because it has electrolytes that can help to stave off leg cramps (Charlie horses). 3.) Get your heart rate up safely by using the perceived rate to exertion scale. On a scale of 1-10, 10 being the highest, try to keep your exercise level of intensity at or close to a 7. 4.) Use your warmup as an energy test. If after 6 minutes of movement you are feeling great, it is a clear indicator that movement is a great choice for that day. If after the first few minutes you feel sluggish or very nauseous, it is clear feedback from the body to take it a little bit easier that day. 5.) Enjoy safe core work. This is obviously not the time for crunches or any type of constriction in the core, but exercises like modified plank, and side plank are safe and very effective for increasing the strength in the muscles that help to support your beautiful baby. 6.) Endurance is important but so are short bursts of activity. Labor and delivery requires short bursts of power to push effectively, and then there is respite between the contractions. Nature’s cycle of labor and delivery parallels interval training. When preparing for labor and delivery, try a workout that has a few short burst of intensity, like speed walking combined with slower walking, or walking up stairs combined with walking on a flat surface. Your body will adapt to the new challenge and you can call on this type of endurance and power on the birth-day of your baby. 7.) Stay centered. Your baby can feel your every emotion. When you are anxious or out of sorts, your adrenals squirt out the stress hormone adrenaline, and there is a stress response. We cannot avoid all stress, but we can reframe small daily stressors as something that we can easily navigate, we might just need a few extra minutes to do so. The example that comes to mind is traffic. If you are driving in heavy traffic, and you start to get stressed, enjoy some slow steady breaths, and do a little progressive relaxation from your feet up to your head. Your body and your baby will benefit. 8.) Practice Yoga. Yoga is a wonderful gift to both mama and baby. Yoga helps with strength, flexibility, and a feeling of ease in the body. This type of mindful practice also allows a really sweet opportunity to bond with your baby. As you move into postures, imagine love and light surrounding you and your baby. Desi Bartlett is a pre- and postnatal Yoga and Fitness expert, Essentia hydration specialist, and star of 8 fitness and Yoga DVD’s, including ‘Prenatal Yoga Workout, by Gaiam.’ She lives and teaches in Los Angeles, and is the mother of two energetic boys.